So you’ve been searching for ideal car audio speakers to replace your old burned-factory units? Get yourself Rockford R169X2 speakers with a powerful performance at an affordable price. These are excellent factory speakers designed for drivers and outdoor entertainers who like rocking their rides with great music. They’ll ensure you your friends gets nothing but the best of quality sound reproduction. These are 2-way speaker components and sounds great just like their 3-way counterparts. Rockford R169X2 are designed with durable and stiff components that guarantee better performance for your car audio system. They come in a pair of two, with each speaker unit featuring a stiff polypropylene woofer with strong drums and base. They are easy to install and fits perfectly in most cars’ doors, as long as the door openings are 6x9 inches. This is the standard door speaker opening for most passenger cars. Let’s look at their specifications. Who are the speakers designed for? Each 6"x9" speaker features propylene woofer cone that provides strong drums and bass. The woofer cone is also responsible for the reproduction of excellent midrange frequencies. This provides quality punchy sound featuring quick transitions from bit to bit. Rockford Fosgate R169X2 comes with a woofer mounted together with the tweeter hence making it fit in more cars and adding that excitement of high-frequency speaker response. With the built-in crossover network, the frequencies are divided according to each driver they are assigned to. These speakers feature a shallow mounting depth and a wide frequency response that ensures high-quality sound production. Rockford Fosgate Prime series of car audio speakers features a sleek and flat-black designing with glossy dome tweeters. The silk-dome tweeter flush is mounted to the woofer thus ensuring that it fits in more cars, adding an excitement of a strong frequency response. The tweeters are designed in such a way that they allow the speaker to easily fit in various locations and give a focused image. The Rockford Fosgate's Prime Series R169X2 speakers adopt a shallow mounting depth and a wide frequency response, which allows for easy fitment for maximum performance on any type of car in the market today. then you can easily understand their great durability and aesthetic designing. Acrylonitrile Butadiene Styrene (ABS) is a thermoplastic that is ideal for industrial and marine applications. With the ABS grilles, the R169X2 offers you the opportunity to add a stylish design to your vehicle’s interior decoration. Use these speakers to customize your car’s cabin for unmatched aesthetic beauty. Rockford R169X2 speakers are fitted with stamped stainless steel basket. The baskets are rustproof and ideal for marine conditions. The speakers are however not marine certified for usage in vessels such as boats. Stainless steel designing makes them ideal for both indoor and outdoor usage. Yes, they are good for outdoor entertainment. Stainless steel materials are not only proffered due to its corrosion resistance but also high and low-temperature resistance. This means that these speakers are capable of surviving extreme weather conditions including elevated temperatures and pressures. Other advantages of stainless steel include aesthetic appeal it adds to the speaker design the hardening properties. Can these speakers be connected to an amp? Yes, you can connect Rockford R169X2 speakers to an amp with a rating of 75RMS per channel. However, you don’t necessarily require an amp as long as you have a decent head unit or receiver. Yes, they’ll work perfectly even without an amplifier, though many prefer an amp to boost the overall performance of the car’s audio system. Unfortunately no. However, they are designed with a stainless high-strength steel basket that is capable of withstanding extreme temperature conditions. What is the speaker’s input impedance? The input impedance for each the speaker unit is 4 ohms. Considering that the system comes in a pair of 2 units, the total impedance amount to 8 ohms. Generally, Rockford R169X2 speakers sound great and feature a fantastic durable designing. Their feature very few only setback is the low-﻿﻿﻿﻿power handling ratings that may not go well with listeners who likes turning it up. Otherwise, whether you’re installing them as your first speaker system in your vehicle or replacing the burnt out factory speaker sound system, they’ll get the job done for you. They provide your car’s interior with an aesthetic and luxurious feel while giving life to your favorite tones during your cool rides. Be sure to provide yourself and friends a great entertainment using that will keep you rocking throughout your ride. 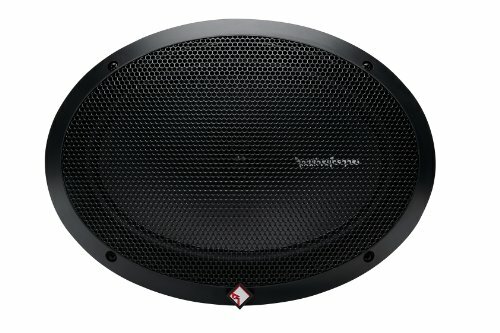 Rockford Fosgate R169X2 car’s sound system speakers. The speaker unit is primarily built for car’s factory door replacement. However, their usage can be extended to outdoor entertainment operations such as parties. Although they don’t fit in all car doors, they can be made to fit using various car design technologies. As long as you have a perfect head unit in your car, you’re good to go. 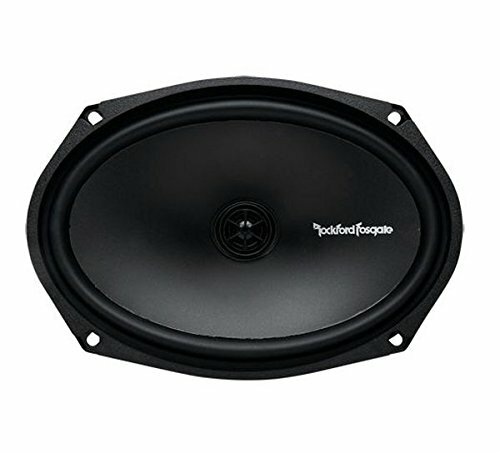 Consider R169X2 is 6" x 9" 2-Way speakers from Rockford Fosgate for your vehicle’s next audio system upgrade.